It�s fluffy. It�s sugary. It melts in your mouth. Cotton candy is the sweet treat loved by everyone, young and old. 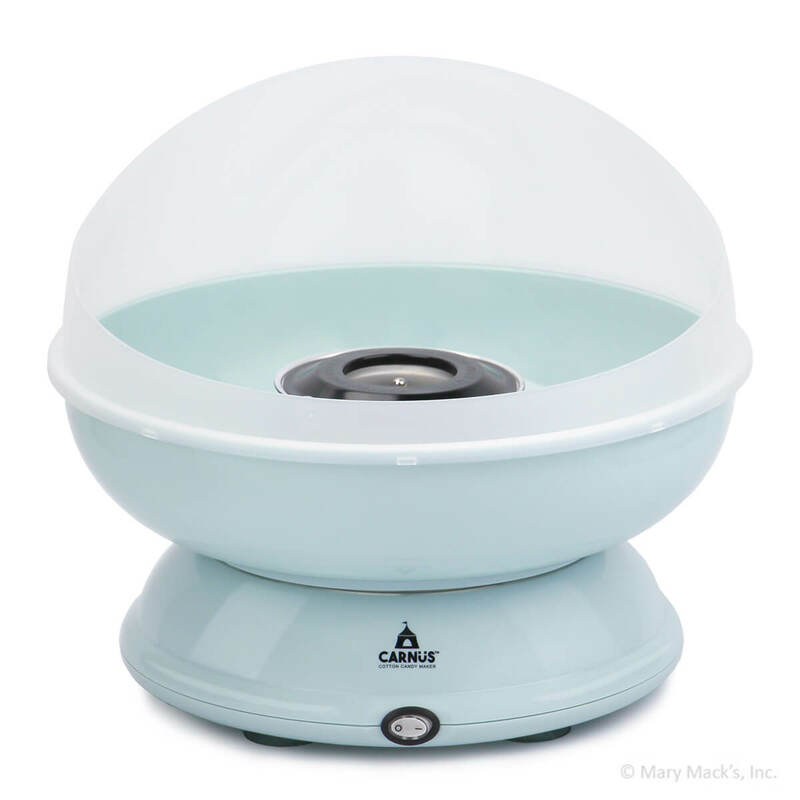 Order a Carn�s Cotton Candy Maker, and you can enjoy cotton candy with your family and friends quickly and easily. Pair this cotton candy machine with the Carn�s brand pouches of ready-to-use floss sugar or use any of your own finely crushed hard candy. This light blue colored cotton candy machine plugs into a standard 120-Volt outlet. The entire machine is durable and comes with a one year manufacturers warranty. You�ll find that the powerful, long-lasting motor will hold up to many uses. After making your cotton candy, you�ll find that clean-up is easy, and the entire machine comes apart for convenient storage. 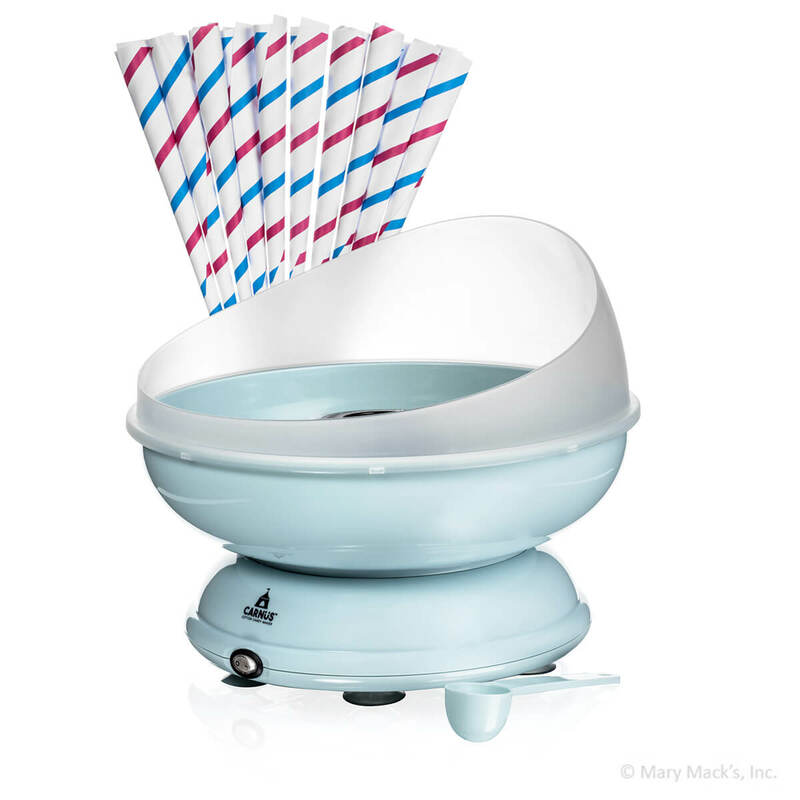 The Carn�s Cotton Candy Maker makes any get-together or party a sweet occasion. Your friends and family will love pouring in fine sugar and seeing cotton candy spun right before their eyes. And of course, they�ll love eating it too! This machine is also available as a complete party pack with 3 pouches of ready-to-use floss sugar and 50 cotton candy cones.